We have already reported about the probable Tomb Raider port to the next generation of consoles and today are going to confirm this information. During VGX show the developers officially announced Tomb Raider: Definitive Edition that will be developed for PS4 and Xbox One. Tomb Raider: Definitive Edition will consist of the game itself together with all add-ons that were released for it previously. Moreover, the developers have redesigned the game, so now the quality level of its graphics is up to the next generation of consoles. Also the owners of Xbox One and PS4 will get special functions that will be available exclusively for these consoles. Thus, Xbox One version of Tomb Raider: Definitive Edition will include the Kinect support. Using voice commands, you will be able to get into the menu and modify your weapon. The PS4 controller also has an interesting feature. It will shine, when Lara Croft lights her torch. 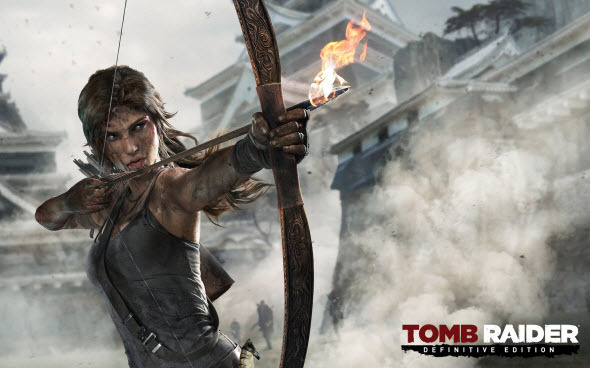 To get to know more about Tomb Raider: Definitive Edition, watch its newly released trailer. And if you are waiting for this game, then we are happy to announce its release date - the 28th of January for North America and the 31th of January for Europe.